Callan, Meres and Lonely are keeping Major Harcourt (Robert Urquhart) under observation. Harcourt was an officer and is still a gentlemen, but these days he earns his living as a hit-man. He’s worked for the Section in the past (which will become important later on) but his current contract is very much against the Section’s interests. Harcourt has been hired to kill a nameless Field Marshall from a nameless country (we never learn any more details than this, but the actual assassination isn’t the point of the story). Although he’s slightly over the hill he’s still a professional – and therefore dangerous – so Callan and Meres approach with care. It’s quite interesting that both Meres and Callan are captured by Harcourt at different points in the episode and that they also exhibit a certain amount of fear as Harcourt threatens them with death. Early in the episode Meres shadows him but ends up as his prisoner. Callan’s able to overpower him though, but their victory is short-lived as Harcourt escapes. This isn’t a particularly good episode from the point of view of demonstrating how efficient the Section is. Meres is captured and then both Callan and Meres lose Harcourt. It’s all a bit sloppy really and not quite what we’ve come to expect. Harcourt being at large does cause a problem, but Hunter presses on with his plan of allowing Callan to impersonate the Major. To do this Callan asks Meres for his coat (which he gives up with a little reluctance!). Callan’s not really officer and gentleman material, so it would have been more logical for Meres to undertake the masquerade. But since Callan’s impersonation of Harcourt is the centre of the episode it’s not surprising that Woodward features (and he’s excellent, of course). It turns out that Harcourt is one of three assassins, all of whom will take four hour shifts. They know that the Field Marshall will pass a certain window at the Embassy some time over the next few days, but they don’t know exactly when – which is why they require more than one shooter. This is where the plot starts to feel a little contrived. One of the other assassins is Lafarge (Michael Pennington). Lafarge harbours a grudge against Harcourt, since the Major (acting for the Section as a freelancer) killed his friend and partner some years previously. It’s something of a coincidence that both Lafarge and Harcourt should be selected for the same job – plus it’s also a little difficult to believe that Lafarge knew the identity of his friend’s killer. And even this is negated at the end when Meres tells Callan that the Major missed and he did the killing anyway. So why did Lafarge believe it was Harcourt rather than Meres? Also present is Kristina (Jane Lapotaire). Kristina claims to be a member of the country’s resistance and wishes to kill the Field Marshall purely for ideological reasons. Callan gently baits her about this, whilst Lafarge remains aloof. Indeed, Callan doesn’t get on with either Lafarge or Kristina (Lafarge is young and arrogant, and Callan delights in rubbing him up the wrong way). Events get more complicated when Harcourt turns up and we see genuine fear from Callan (quite a rarity) as Harcourt comes close to killing him. It doesn’t happen of course, as Lafarge kills the Major first. It’s a great pity that as the camera switches to a close-up of what should be Harcourt’s lifeless body, we see Robert Urquhart’s eyes move. Presumably there was no time for a second take. It turns out that Kristina isn’t all she appears – she’s working for the same party that the Field Marshall belongs to. Since he’s become too soft and conciliatory they see a chance to kill two birds with one stone – remove the Field Marshall and tarnish the reputation of the resistance groups operating in the UK. 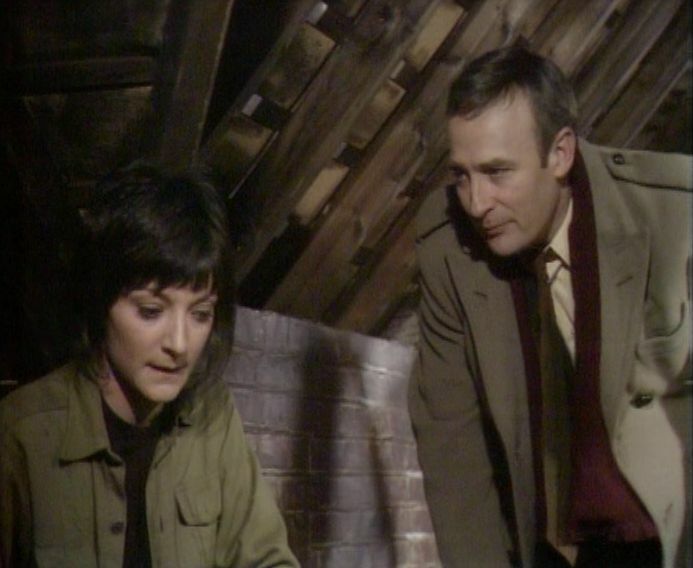 It’s the interaction between Callan/Lafarge/Kristina as all three are holed up in the attic, waiting for the call to kill the Field Marshall, that’s the stand-out part of the episode. Edward Woodward has two very good actors to bounce off against – Michael Pennington and Jane Lapotaire. Both have enjoyed lengthy and successful careers – Pennington is a notable Shakespeare actor (who also has plenty of film credits, including Return of the Jedi, to his name) whilst Lapotaire has an equally impressive cv. They have to sport foreign accents, which can potentially be a problem, but they do so with aplomb. Apart from this, there’s the usual banter between Callan and Lonely as well as some nice byplay between Callan and Meres. The tension that existed between the two of them during the time that Callan was Hunter seems to have now dissipated. Although The Contract does feel a little insubstantial (probably due to the low-stakes feel of the story) the performances help to carry it along.